Cricketers spend long hours on the field in hot conditions. To be able to perform at their optimum level they require speed, power, strength, and recovery. All of these factors are heavily influenced by what you eat. The job of sports nutritionist is to help an athlete learn how to eat correctly. How to eat right for training, recovery, and performance. For the right development, athletes need to start a nutrition plan at an early age. The benefits of proper nutrition include Injury prevention, Lessened muscle tiredness, and soreness, Boosting of the immune system, Enhanced energy levels, Improved focus and attention span, Muscle healing and recovery. Injury impacts an athlete both physically and psychologically. It hampers an athlete’s growth and confidence. An injury-free athlete is like a lion on the field, whereas an injury prone athlete is timid. We have helped cricketers like Shikhar Dhawan, Mithali Raj, Yuvraj Singh & Robin Uthappa to perform at their optimum level and reach to their cricket goals. Are you eating correctly? Is bad nutrition hampering your growth to the next level? Do you want to represent your country in cricket? 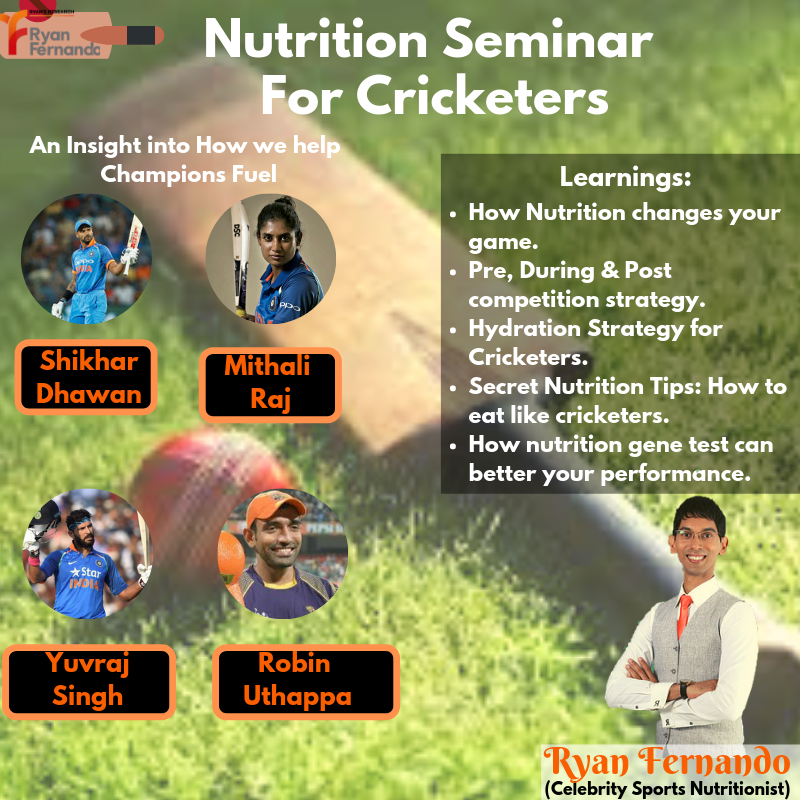 Contact us on 97-4343-0000 for a customized cricket nutrition plan to fuel your performance.